There are many reasons to visit Lafayette, LA the Happiest City in America according to the Wall Street Journal’s MarketWatch.com. The Cajun and Creole culture and cuisine, the many things to see and experience, from a visit to a swamp to Avery Island, from Old Tyme Grocery to the Christmas lights of the Acadian Village, from St. John’s Cathedral to the Planetarium, and dozens more that you can discover on Lafayette Travel. But what makes this destination vibrant, colorful, and full of joie de vivre is a great mix of festivals, dancing, music, and world-famous parties. Here are the top festivals and events you must not miss in Lafayette, LA. A great addition to the Lafayette music and culture scene, the Celtic Bayou Festival is another Lafayette, LA baby that you must experience. It all started with a successful Kickstarter campaign that helped organize Lafayette’s first traditional and cultural Irish festival back in March 2016. The Celtic Bayou Festival is dedicated to celebrating and preserving Irish, Irish American, and other Celtic cultures through entertainment. The first edition focused on music, dance, history, language and art that is native to Ireland, Scotland, Wales and Brittany. Festival goers were invited to trace their Celtic routes at the genealogy tent, children were delighted with an Irish storytelling puppet show, things got heated at the Guinness cook-off competition, and the event got its unique Lafayette touch with a Lenten Crawfish Boil. The Acadiana Po’Boy Festival is one of the most recent additions to the Lafayette, LA happening festival scene. It had its first edition in April last year, and as the name would suggest, it’s all about a sandwich considered Louisiana’s favorite, the po’boy. The first edition brought together 19 vendors offering half-sized or even smaller po’boys for festival goers to sample. There was also live music, a great variety of tap beer, a children&apos;s activity tent to make it completely family friendly, and a dream of building the world’s largest po’boy. This festival is free to enter, but you’ll definitely be spending a lot to sample the deliciousness of this Louisiana creation! 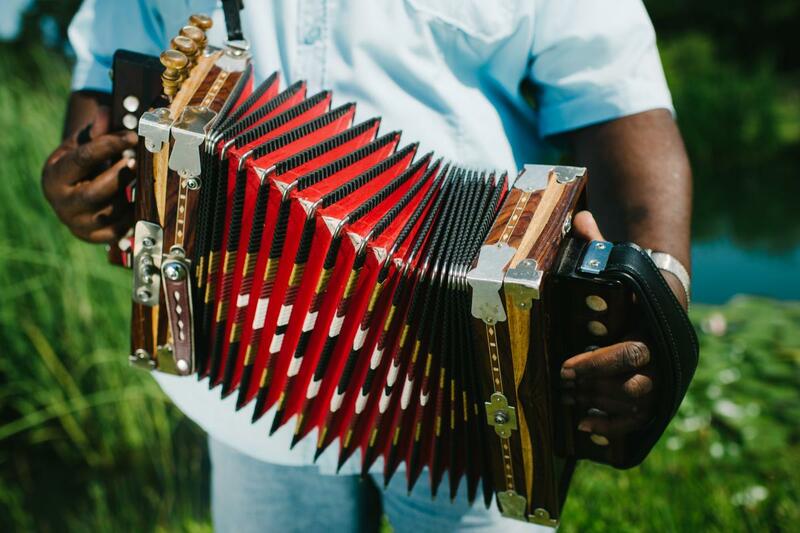 Lafayette hosts the world’s largest Zydeco and LaLa music festival—the Original Southwest Louisiana Zydeco Music Festival. This fall festival features established and upcoming Zydeco artists, while also preserving the Louisiana Creole country by sharing it with the world. The first Southwest Louisiana Zydeco Music Festival dates back to 1982 and it was organized because Creole and Zydeco music were on the verge of dying out. Since then, it has grown into a lively and much appreciated annual celebration of Creole culture that you simply must not miss. Another great fall event that you shouldn’t miss, the Latin Music Festival, turns the Moncus Park at the Horse Farm into an homage to Latin heritage and culture. This family friendly event is completely free for the Acadiana community and its visitors, and it delights festival goers with live music, Latin cuisine, and arts and crafts exhibition showcasing jewelry, paintings, textiles, and numerous other crafts. Check out the above video from the 2012 event held at Parc International to get a taste of what to expect. Dance your way into this immersive experience of Latin culture and you’ll definitely want to come back for more. With four editions under its belt, the Steampunk & Makers Fair might not be the newest kid on the Lafayette, LA block, but it’s definitely a must see. A great mix of dressing up and becoming a steampunk hero, science fair, and a secret ingredient that makes it unique, the Steampunk and Makers Fair takes place every November. Dedicated to science, technology education, art, and mathematics, this all-ages event is organized by Cite des Arts and the Lafayette Science Museum, and gives you the opportunity for a real-life meeting with 19th century science fiction. While the costumes and steampunk props might catch your eye at first, you will definitely want to stay for the steampunkers’ creations in art, music, and storytelling. Check out the above video from the 2014 event that took place in Parc Sans Souci. Each of these festivals offers an interesting way to discover the spirit of Lafayette, LA. Experiencing all of them might take a few trips, but it’s well worth it. To see all the festivals Lafayette, LA has to offer click here. Travel Tweaks is an inspiration base travel website that will help you find the spark you need for an amazing trip. They provide the latest travel news, the most accurate reviews of destinations, hotels and accommodation, activities, restaurants and other fun travel stuff, the tips, ideas and advice to make your experience smoother and easier and allow you to concentrate to enjoying every minute of your vacation or business trip.